The software has been running on ISOC England owned hardware in Telehouse North, London Docklands, hosted on 2020Media’s sponsored rack, since Summer 2010 and more than 160Gb of data has been collected so far – and the tracking is ongoing. On 6 June 2012, ISOC England joined many other ISOC Chapters and organisations in the World IPv6 Launch by staging a Webinar about the project’s results. Now we have more results one month later. 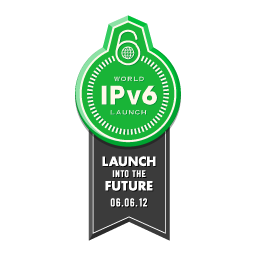 Has the World IPv6 Launch benefited many countries or just a happy few? Is the UK on its way to have IPv6 content? Who leads in the world in IPv6 content?